ScreenBox is proud to co-organise once more Pelayaran Fiesta Keluarga 2017 together with CTC Travel (Commonwealth Travel Service Corporation Pte Ltd). More than 1,600 Muslim passengers embarked on this all Halal cruise with us for 5 days to Penang and Langkawi, filled with entertaining and family-friendly activities organised by ScreenBox. Some of these activities include Assalamu’alaikum Semua, an online series by Sujimy Mohamad with his guests, Ustaz Zahid Zin, Sheila Rusly and Madam Salbiah Wir. Other highlights of the cruise experience include morning mass prayer on the pool deck led by Ustaz Zahid Zin, morning exercises by Fit Fab with Haslinda Ali FitFab, interactive games, Fiesta Selebrity and Night Under The Stars with performances by Sheila Rusly, Janna Nick, Bonda Bedah & Mak Temah, Arif Samsudin and more! 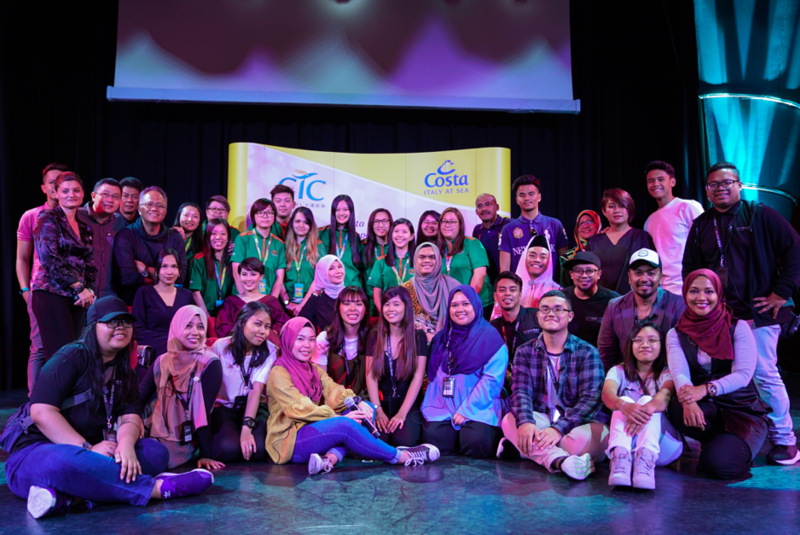 We would like to thank CTC Travel for this partnership opportunity and Costa Cruises Asia Pacific for all their great work on board. Thank you too to those who were with us on this cruise and we hope everyone enjoyed all the programmes organised specially for you. For more information or possible collaboration, do make an enquiry through our contact form.